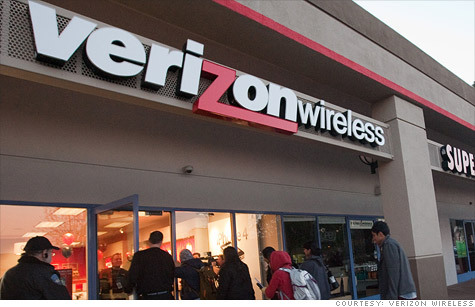 Verizon Wireless contracts are about to get $30 more expensive. NEW YORK (CNNMoney) -- Thinking of upgrading your phone with Verizon? Better do it fast. On April 22, Verizon Wireless will institute a $30 upgrade fee for existing customers who purchase new phones with a two-year contract. The fee would hit any Verizon customer signing up for a new two-year plan and receiving a discounted device. Early upgraders who pay the full price of a new phone would not be impacted. "This fee will help us continue to provide customers with the level of service and support they have come to expect," said Brenda Raney, spokeswoman for Verizon Wireless. Verizon (VZ, Fortune 500) is actually the last national carrier to charge an upgrade fee. T-Mobile charges $18 for upgrades. Sprint (S, Fortune 500) and AT&T (T, Fortune 500) recently doubled their fees to $36. The announcement comes at a time when carriers' profit margins are getting squeezed by hefty smartphone subsidies -- particularly from Apple's (AAPL, Fortune 500) iPhone. At the same time, voice minutes are dropping, sending average revenue per smartphone user down $10 in two years, according to a recent PricewaterhouseCoopers' survey. Customers are also less loyal than ever before, switching their carriers an average of every four years. Meanwhile, the growing number of smartphone customers are using increasing amounts of data on their devices, prompting carriers to spend tens of billions of dollars each year building out new network infrastructure to handle the growing traffic load. All of that means carriers are scrounging around for new revenue, raising prices for all manner of services. AT&T instituted a $5 across-the-board price hike in January for new contracts, and Sprint raised its monthly smartphone rates by $10 a year ago. Early termination fees have doubled at AT&T, Verizon and Sprint over the past two years. Verizon ditched its New Every Two discount plan last year, and AT&T cancelled its lower-tier texting plans in August. The providers are also trying to contain their costs by curbing consumption. In 2010, AT&T became the first national carrier to switch to a tiered pricing model, charging customers for the amount of data they use. Those with legacy, "unlimited" data plans aren't immune: In November, AT&T began throttling download speeds for unlimited customers who are in the top 5% of the network's users. Verizon followed last summer by introducing its own version of tiered pricing. Verizon also slows speeds for the top 5% of its unlimited users. T-Mobile's "unlimited" plans throttle back speeds once users hit certain tiers, beginning at 2 GB a month of data. Sprint remains the last national carrier to offer an unlimited plan without slowing down data speeds. However, CEO Dan Hesse told analysts in January that Sprint does take action against customers who "abuse it," and the company recently capped its data plans for tablets and mobile hotspots. This new charge isn't the first time that Verizon tried to add a new fee for existing customers. On the sleepy Thursday before the New Year's holiday weekend last December, the nation's largest wireless company instituted a $2 "convenience charge" for customers who make one-time bill payments using a debit or credit card, either online or by telephone. A day later, following an uproar, the company scrapped that plan.